We hear the term “common law marriage.” But how many of us really understand what it is and what the legal ramifications are of a common law marriage in Oklahoma. Is it legal, binding, how and when? If so, how is a divorce handled? How does this affect the children? These are all important questions that you deserve answers to. Your Okmulgee common law marriage attorney can help answer your questions, can address your concerns, and can help you with the legalities as you move through a common law marriage. Oklahoma recognizes common law marriage. Common law marriages often arise when cohabitating couples stay together for years and hold themselves out as a “married” couple. Moving in together can be casual for a long while. But over the years, a number of situations can arise that enmesh a couple’s finances, lives, property and the like. Decisions are made regarding all of these over the course of a relationship, many of these decisions tying the couple closer together. So what happens with a common law marriage as the couple begins to move apart? Most of the time, problems in the relationship cause one of the other partner to seek legal advice. Most of the time, couples are surprised that although it might have been easy to form a common law marriage, it may not be so easy to end one. Concerns about common law marriage in Oklahoma may also arise when one party wants to remarry, or when a partner dies. Unless a formal divorce has been obtained, a partner seeking to remarry after a common law marriage may be guilty of bigamy. And upon death, a partner may need to prove the existence of a common law marriage in order to take a share in the deceased partner’s estate. 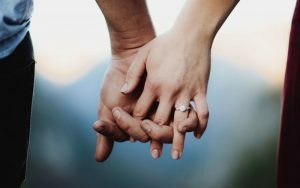 Is there legal capacity to be married? This relates primarily to age. Did the couple mutually agree to be married? Did they intend for the relationship to be permanent? Did they live together as domestic partners? Did they hold themselves out to the community as married? Since marriage remains essentially a contract, courts look to the understanding and agreements made by the couple in determining the presence or absence of a common law marriage. These cases are very fact bound. The facts of the case are so very important. Your Okmulgee common law marriage attorney can help you understand how the facts of your relationship fit into a claim for or against the presence of a common law marriage, and can help you prepare your case for court. An experienced attorney will know what facts the court will find most persuasive and how to present those facts in the most persuasive way possible. For example, if a couple refer to themselves as spouses before friends and family, that evidence will carry a certain amount of weight for a judge. If they used the same last name, held joint property in those names, and filed joint tax returns, that evidence would be even more persuasive. So How Do You Get Divorced? Though you may have started this relationship casually, the court could determine the existence of a common law marriage. If the court finds the existence of a common law marriage, you will need to go through a formal divorce proceeding in family court. Formal divorce proceedings can be contentious and emotions can run high. If you are looking at divorce, you must have an experienced Okmulgee common law marriage attorney at your side. Property and assets are split during divorce proceedings and the decisions you make now will affect you for years to come. You need objective and clear advice during a time of emotional and financial upheaval. If you’d like a confidential, no cost consultation with an Okmulgee common law marriage attorney, call (918) 756-9600 or toll-free (888) Wirth-Law for a free consultation at the Wirth Law Office – Okmulgee. Or, enter your legal question or concern in the firm at the top right of this page, and one of our attorneys will email or call you.